This event features special guests Emancipator and Danny Corn. 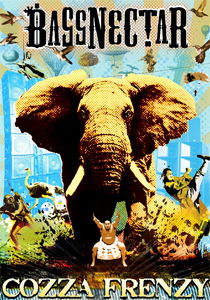 On Wednesday, February 3, 2010, Bassnectar will be performing at the Arcata Theatre in Arcata, CA. This is an 18+ event. Stay tuned for more information about opening acts. Doors open at 9:00pm. Arcata Theatre is located at 1038 G. St. in Arcata, CA.